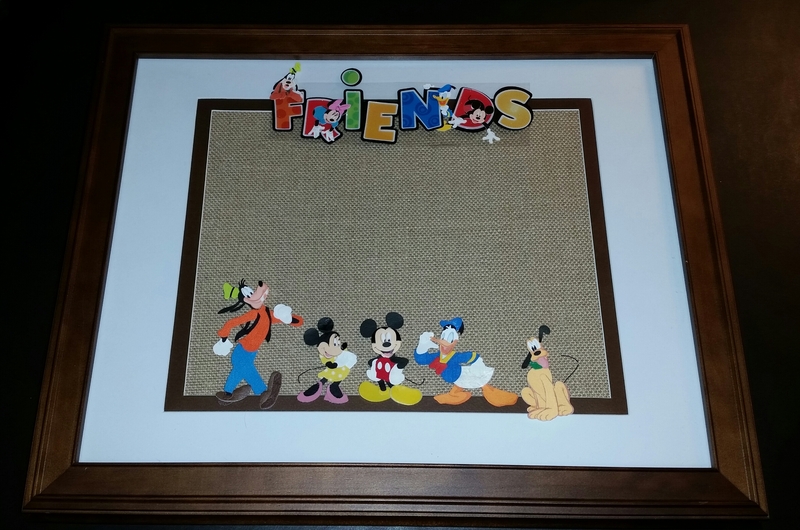 I don’t know about you but after our family comes back from a vacation we have hundreds of photos and I in this craft post I will show you how to make special framed vacation photos. 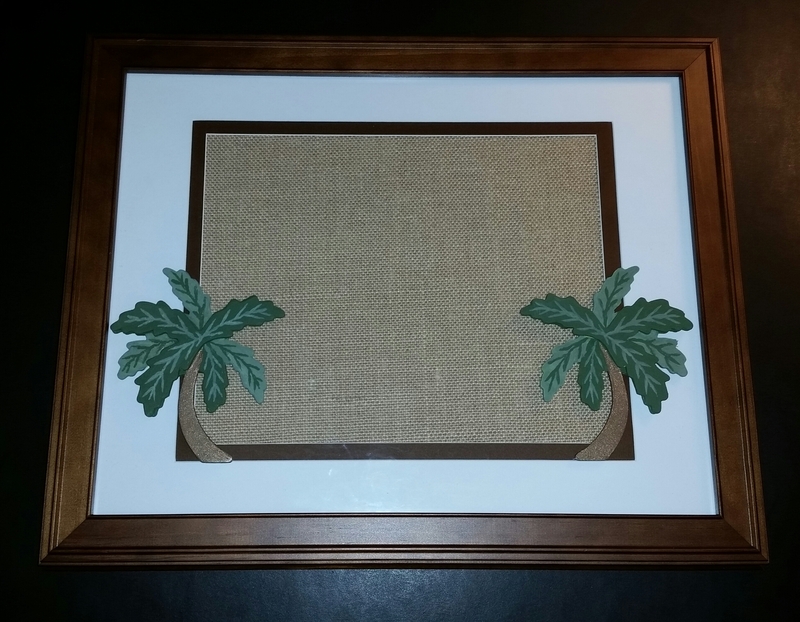 Specialized photo frames can be a little pricey or maybe you can’t find one that you like or fits your vacation destination and I will show you how to take a simple frame and custom design it to fit any vacation destination. 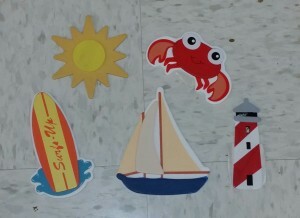 For this craft project I chose five different themes: Disney, Beach, Road trip, World traveler and Disney. 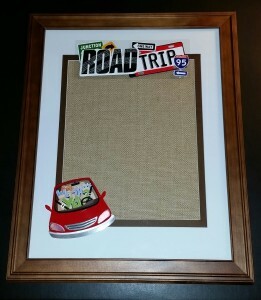 To make these five themed Framed Vacation Photo craft project I used a variety of embellishments; such as scrapbook stickers, wooden and metal items and even Christmas ornaments. 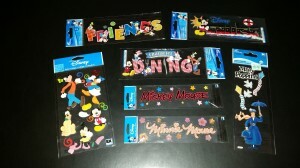 Disneyland in California and Walt Disney World in Florida are two favorite family vacation destinations. 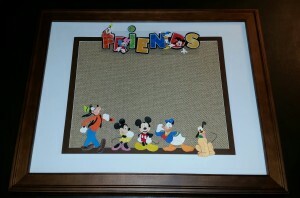 Shown below is an idea for Framed Disney Vacation Photos using scrapbook embellishments. Disney offers lots of scrapbook embellishments and I’m sure that you can find the perfect ones at your local craft store. 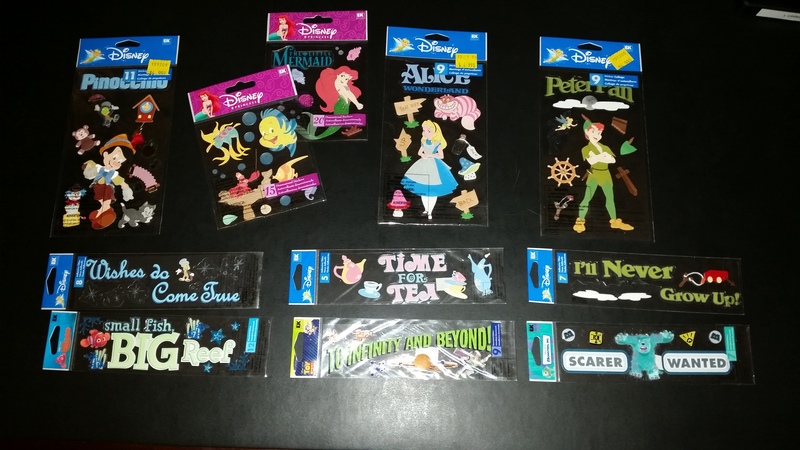 They have a great selection of stickers for every Disney adventure for theme parks, various characters, ride attractions, Disney dining at the park, a Disney movie or play and a Disney cruise. 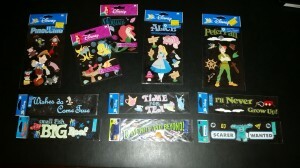 For this craft project, I used a “Friends” stickers and several character stickers. I arranged it for a portrait (vertical) photo but you can very easily change it for a landscape (horizontal) photo, too! Our family loves a great trip to the beach and while living in California it was one of our favorite fun weekend destination. Maybe your family went on a great trip to Hawaii, Florida, Mexico or the Caribbean. 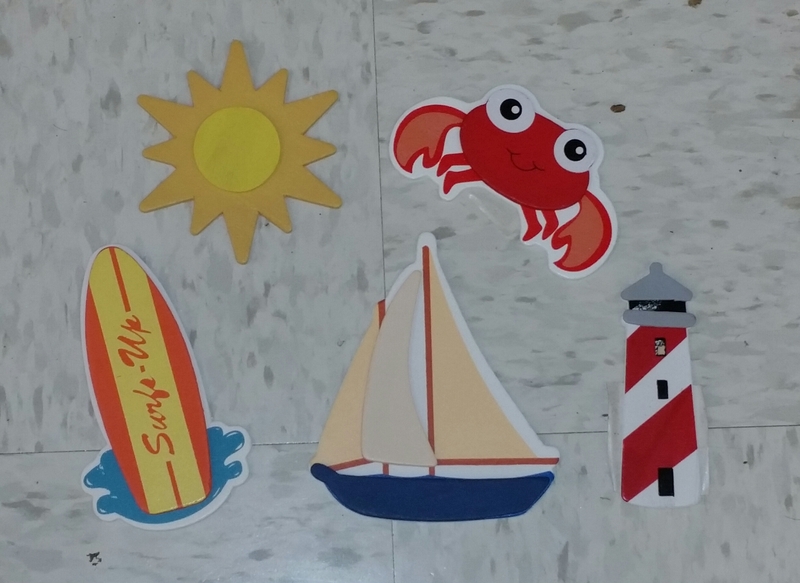 Shown below is an idea for Framed Beach Vacation Photos using pre-cut wood pieces. Pre-cut wooden items come in a variety of themes and I found palm trees, pineapples, Hawaiian flowers, beach pail and a beach shovel. 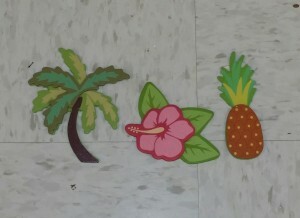 For this craft project, I used two pre-painted wooden palm trees. In order to use them to “frame” the photo opening I had to disassemble one of the trees. Since I needed to paint the back side of the tree I decided to change the look and painted both of them to match. 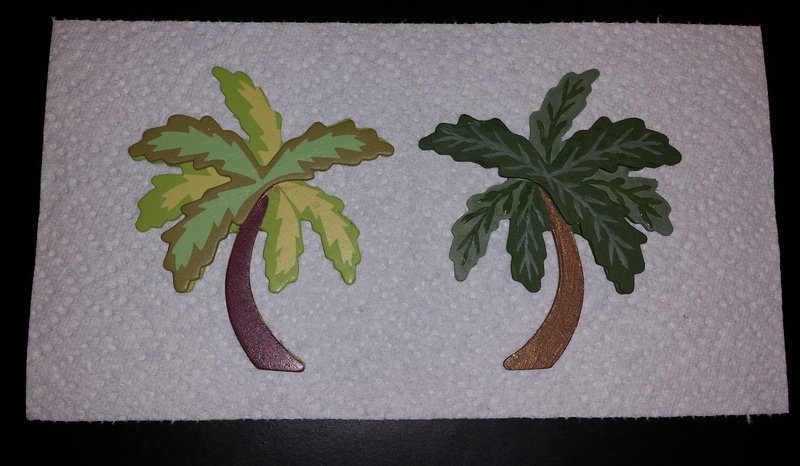 Shown below on the right is the original palm tree and on the left is the re-painted one! During the summer months our family loves to get in the car and travel to some fun destination for the weekend and sometimes we take longer road trips to visit interesting cities or national parks. 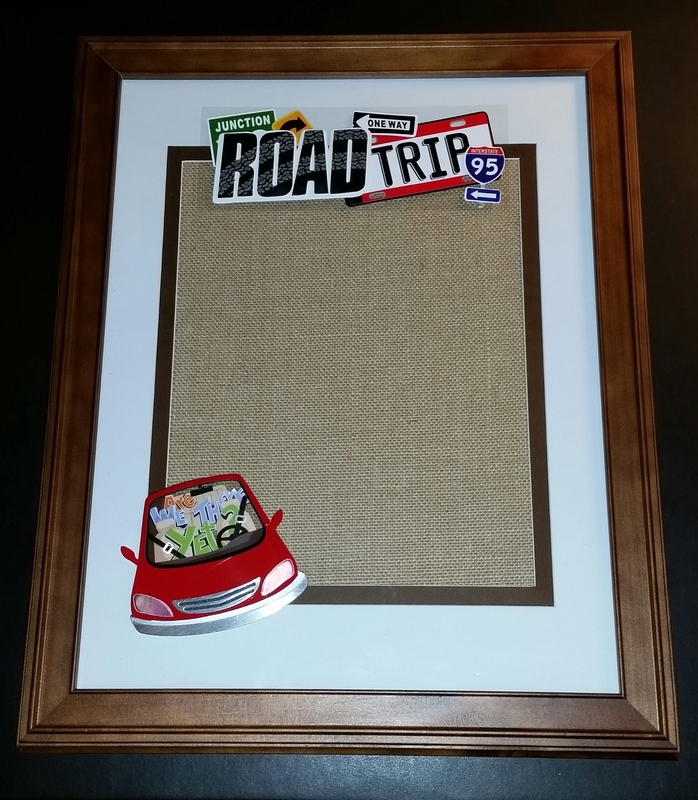 A variety of embellishments can be used for Family Road Trip Vacation Photos, just shop your local craft store and I’m sure they will have ones that would match the destination! Maybe your family has been lucky and you’ve been able to travel to the different countries around the world. (Personally my dream trip would be to Australia!!). A variety of embellishments can be used for World Travel Vacation Photos, just shop your local craft store to select the perfect ones that would match the destination! 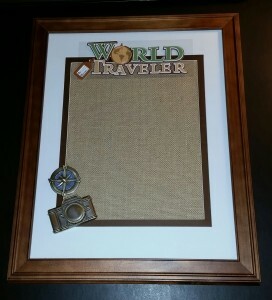 I found a “World Traveler” sticker and metal embellishments – a compass and camera. Maybe your family went on a great trip to a fun destination like Texas, Wyoming or another western state or you went on a great horseback ride during your vacation. A variety of Western embellishments can be used for this craft project, just shop your local craft store for stickers, wood or metal embellishments. 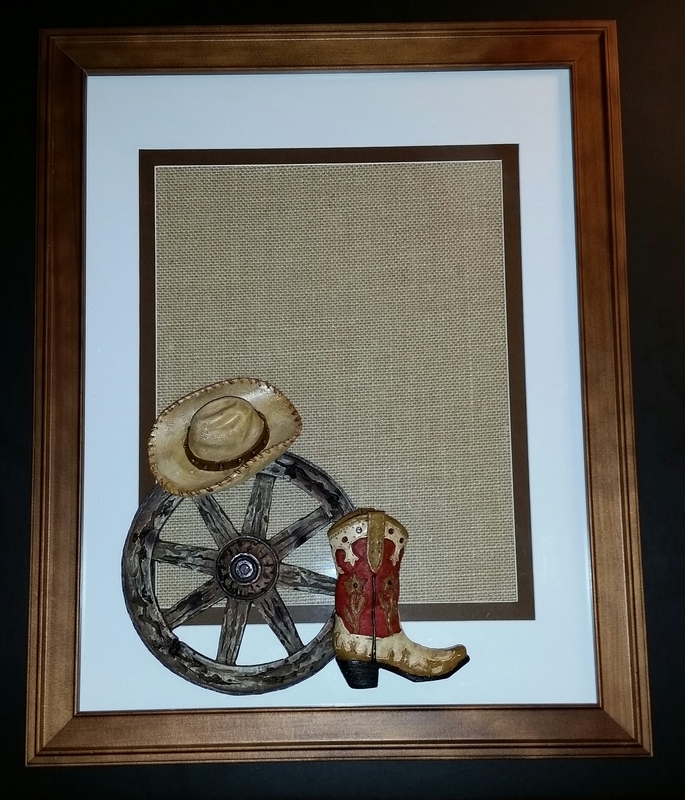 I found some western themed ornaments to use for a fun three dimensional look! 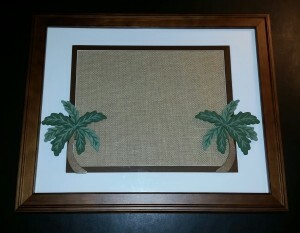 So have fun creating your own Framed Vacation Photos, the options are endless!! !